Assists Victorian self-advocacy groups for; people with acquired brain injury, people with intellectual disability and people with complex communication needs. They provide, support, training opportunities, resources and information. Brain Injury Australia (BIA) is the central clearinghouse of information and gateway to nationwide referral for optimising the social and economic participation of all Australians living with brain injury. 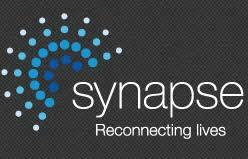 Nation-wide Synapse seeks to focus both government and public support to realise funding for the development of highly specialist services in the areas of accommodation, education and training. United Brains is about bringing together Acquired Brain Injury Self-Advocacy and Self- help groups throughout Victoria.